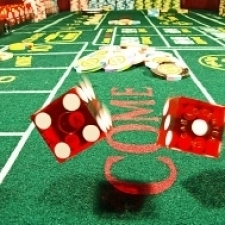 Dice also known as Craps is for the more experienced gambler and works well with multiple tables. In true James Bond style you bet on the throw of the dice, have you got the lucky touch?! Place a bet, player throws dice. If one number shows the player wins even money. If two identical numbers show then the player wins. If three identical number show then the player wins. Our friendly croupiers will teach you to play on the Pass Line shouting for a 7 or 11 to win. Once you have rolled either a 4,5,6,8,9 or 10 that becomes your point and you win on that point and lose on a 7. It's a fascinating game, but is a little more complicated than the others, so it is not for the faint hearted. Hi CatherineThe party was great and everybody had a brilliant time using the casino. The Croupier that we had for the night was fantastic. I will definitely recommend your company to people.Thank you again to all that was involved.